Last year, almost a quarter of young people in the EU labour market were unemployed. It’s not all doom and gloom however – the good news is the class of 2014 can look forward to the strongest graduate jobs market since before the financial crisis according to a study by High Fliers Research. Recruiters are now replacing traditional ‘offline’ channels such as graduate directories, sector and local guides with social media and online marketing to advertise roles, engage with applicants and even screen them. Before entering an interview room, there is a good chance your potential employer has looked at your Facebook page, searched for you on Google and crucially – viewed your LinkedIn profile. So what is LinkedIn? 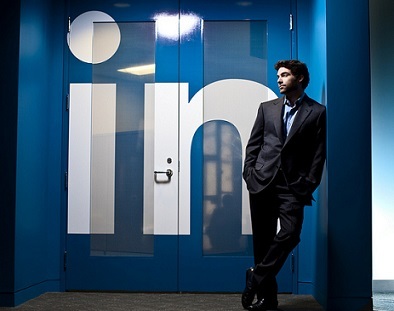 LinkedIn’s mission is to connect the world’s professionals to make them more productive and successful. Using LinkedIn any member can find other professionals on the platform, connect with members relevant to their professional network, and be found by other professionals on the Internet. Infact LinkedIn is now the essential tool for graduate job hunters, so getting to grips with it while still at university will stand you in good stead. It could also be your chance to get yourself noticed early, and to develop contacts while you’re still studying. In this series, I’ll show you firstly how to market yourself, next how to grow your network and finally how to stay on top of business news using LinkedIn. Let’s get started with marketing yourself using LinkedIn! Accomplishments, skills and additional professional information such as honors, awards, association memberships, certifications and languages spoken. Being the author of your own profile information, you can ensure your professional identity is accurate, current and under your control. Below are suggestions on how to start building a great LinkedIn profile. Profile Headline – Your headline is a short, memorable professional tagline. For example, “Honours graduate seeking business development position.” Check out the profiles of students and recent alumni for ideas. Profile photo – Make sure to upload a high quality professional picture of yourself – your profile will be 7x more likely to be viewed if you do. Create a Professional Summary – This is your elevator pitch or short cover letter. It is your chance to write a few short paragraphs about you, your qualifications and goals. Here’s a great article on how to write your summary. Skills & Expertise – Include keywords and phrases that recruiters search for. Find relevant ones in job listings that are relevant to you and from profiles of people who have the kinds of roles you want. above what they are looking for – it’s no longer just enough to have a good degree. 2. Ask for comprehensive, professional recommendations for your education and work – especially from your managers. This is the most powerful way of building your professional reputation through the platform. Receive three or more recommendations and you’ll achieve an ‘All-Star’ profile. 3. Look at other professionals’ profiles for ideas such as LinkedIn employees themselves who are well versed in this art. Co-Founder and Chairman of LinkedIn, Reid Hoffman knows better than anyone how to build a great LinkedIn profile. Having a profile provides the added benefit of making you “visible” to recruiters. So even if you’re not actively looking, its presence will provide you with an opportunity to be periodically “found”, so that you are always passively marketing yourself to recruiters. Over time, you can use the Profile Statistics pages to provide real-time analytics. Enhance your professional profile using data such as who’s viewed your profile, top search keywords used to reach your profile and other trends on the demographics of the audience that has viewed your profile. Stay tuned for part two of Using LinkedIn For Your Career where we’ll discuss how to grow your professional network.